Recently, I was asked to build a Press for a jewelry maker. 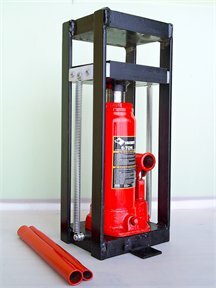 The press is made to use a 6 ton bottle jack as the pressure mechanism. Each platten is made up of (2)pcs of .500 HRS to create a 1" total for each platten (thus eliminating any deforming under a load). 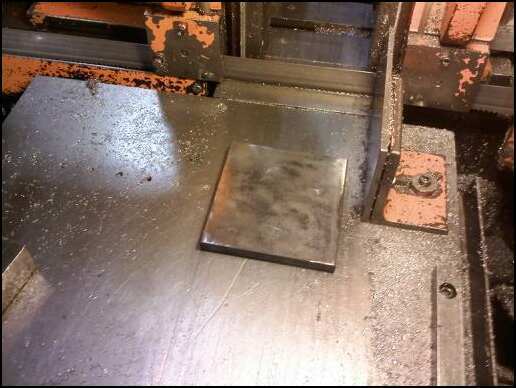 Part 1, I cut the 1/2 inch hot rolled steel plates with our Horizontal band saw. I will then weld them together using the Tig Welding process to ensure a great and clean weld. 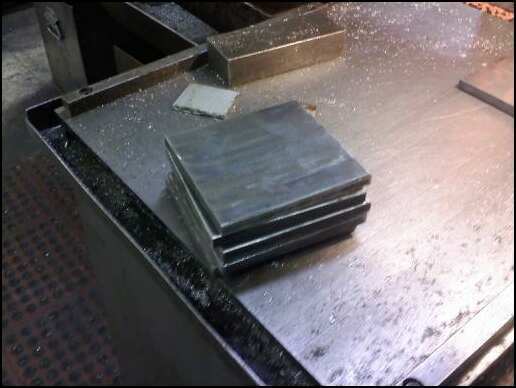 Below is pic of the press currently marketed and the plates I've cut for the press I'm building. Part 2 next week check back for the final fabrication, welding and assembly for the press.